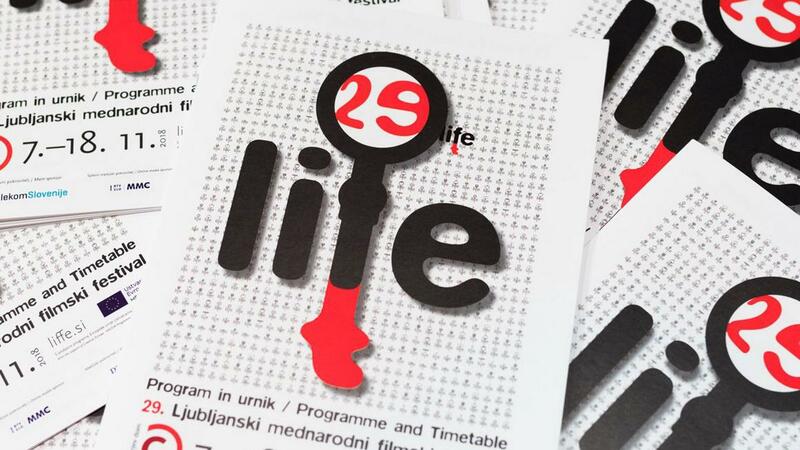 The date film lovers have penciled in their diaries is here: The program and film schedule of the 29th edition of the Liffe Ljubljana International Film Festival is known. This year’s festival will definitely be remembered for its more communicative and viewer "friendly" film selection, the strong presence of many sneak previews, the big number of Italian films and Juliette Binoche, who takes over from Isabelle Huppert as the festival "icon" – she will be featured in three full-length films. The opening and closing festival films will be the work of Slovenian directors. Ksenja Tratnik, Ana Jurc; translated by K. J. This year’s festival will run between the 7th and 18th of November and tickets are already on sale. The organizers don’t have to worry about low attendance numbers: last year almost 42 thousand people went to see Liffe’s screenings (2004 is still holds the record, when the festival counted around 52 thousand visitors). The one millionth ticket will probably be sold next year, when the festival celebrates its thirtieth anniversary. The head of the Cankarjev Dom cultural and congress centre, Uršula Cetinski, says the lucky ticket holder will receive a symbolic prize. Many attention-grabbing titles from the film festival world have landed in the most popular section, the Avantpremieres. The section will feature Lars von Trier’s controversial portrait of a serial killer The house that Jack built - the film has so far divided audiences, some are appalled while others thrilled by the new film. There will be a strong Italian presence among the avantpremieres. After an unsuccessful spell in directing English-speaking films, the director of Gomorrah Matteo Garrone returns to his autochthonous Naples crime environment with Dogman. Laura Bispuri explores the theme of motherly love with her film Daughter of Mine, while Alice Rohrwacher won the best screenplay award in Cannes for her film Happy as Lazzaro. The most anticipated film in the Italian sub-section is certainly Loro, a satirical portrait of politician and tycoon Silvio Berlusconi, directed by the great Paolo Sorrentino. Several years after his big success with Blue Is The Warmest Colour, Abdellatif Keciche returns with the first part of his planned diptych on the life of the Arab community in the south of France – he titled the saga on growing up and hedonism as Mektoub, My Love. A drama called Utoya, July 22 (directed by Erik Poppe) touches on the killer spree carried out by Anders Breivik from the perspective of one of his victims. Double Lives is a new film by Oliver Assayas, one of this year’s three feature films with Juliette Binoche playing the main character. At first glance the topic of French publishing might seem dull, but the festival’s artistic director Simon Popek promises the film is an "intelligent romantic comedy". The core and heart of the festival is, of course, the Perspectives section, dedicated to debut films and films made by young directors from around the world. These ten films will compete for the festival’s Kingfisher Award. Among them is also the winning film of this year’s Festival of Slovenian Film, My last year as a loser directed by Urša Menart.